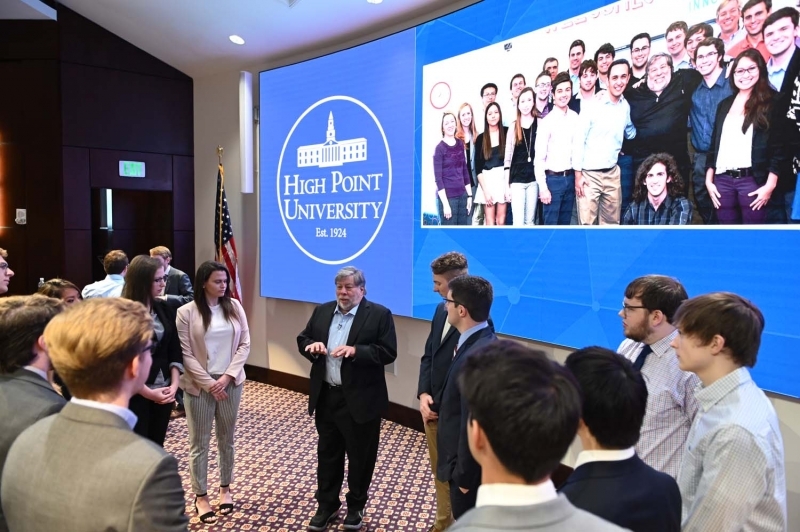 HPUMinds group presented Steve Wozniak, Apple co-founder and HPU’s Innovator in Residence, an update on the self-driving golf cart. They’ve been working on the project with Wozniak since 2016. 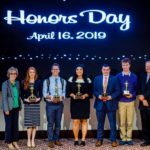 HIGH POINT, N.C., April 16, 2019 – High Point University students learned today that Apple Co-Founder Steve Wozniak, HPU’s Innovator in Residence, isn’t only one of the world’s greatest engineers – he’s also an impressive practical jokester. 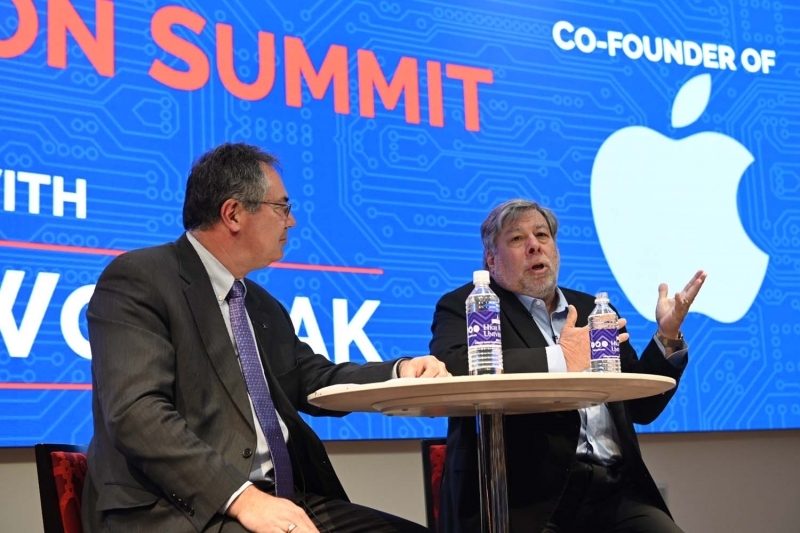 That’s because Wozniak has a zest for life that stems from channeling his work into improving the lives of others. In college, Wozniak bought parts from RadioShack to create a TV jammer. When his classmates went to the only location on campus with a color television, Wozniak used the jammer to make students think the TV was broken. 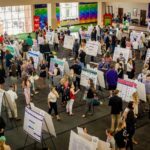 He shared this story and many others with students during an interactive question-and-answer session, which was moderated by Dr. Michael Oudshoorn, founding dean of the Webb School of Engineering. His point was this: When he first started out, he didn’t become an engineer to make money. He did the work because he was passionate about it. Practicing and hands-on learning are two important lessons he emphasized to students as well. 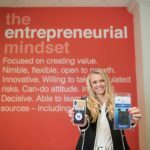 A group of students known as HPUMinds were proof of that during the event. 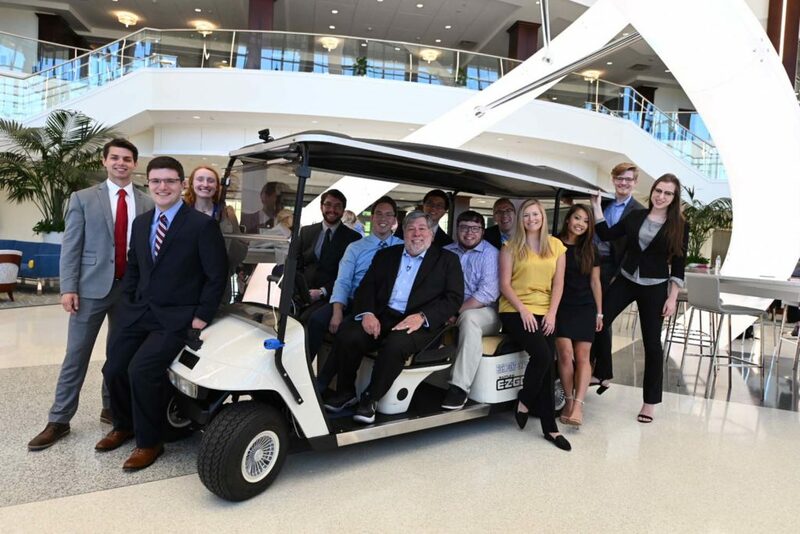 The group has worked with Wozniak for the last three years to transform a golf cart into an autonomous vehicle. They provided an update on the cart that now includes an electrical system used to replace all mechanical parts. 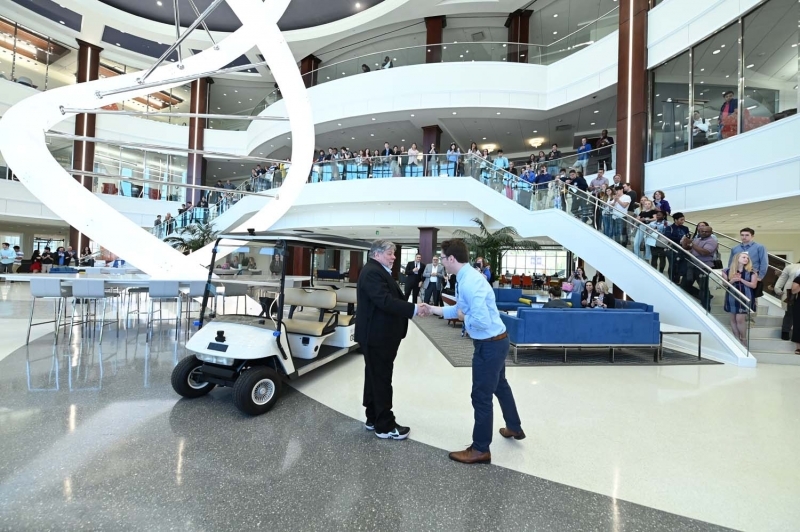 And they took Wozniak for a ride around the Congdon Hall lobby to demonstrate their progress. 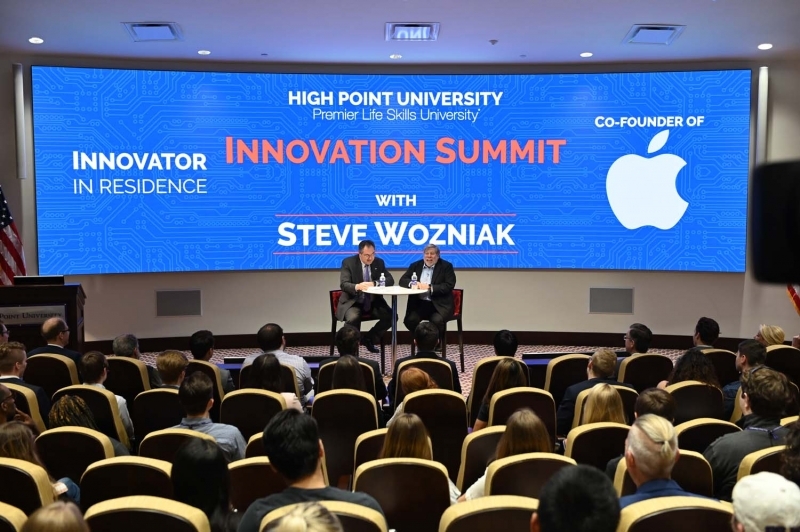 Wozniak has served as HPU’s Innovator in Residence for three years. His relationship with campus continues to grow, and he frequently shares his passion for HPU with others.